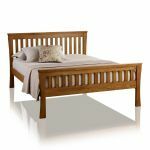 The Orrick Rustic Solid Oak King-Size Bed blends exquisite craftsmanship with the finest raw materials. 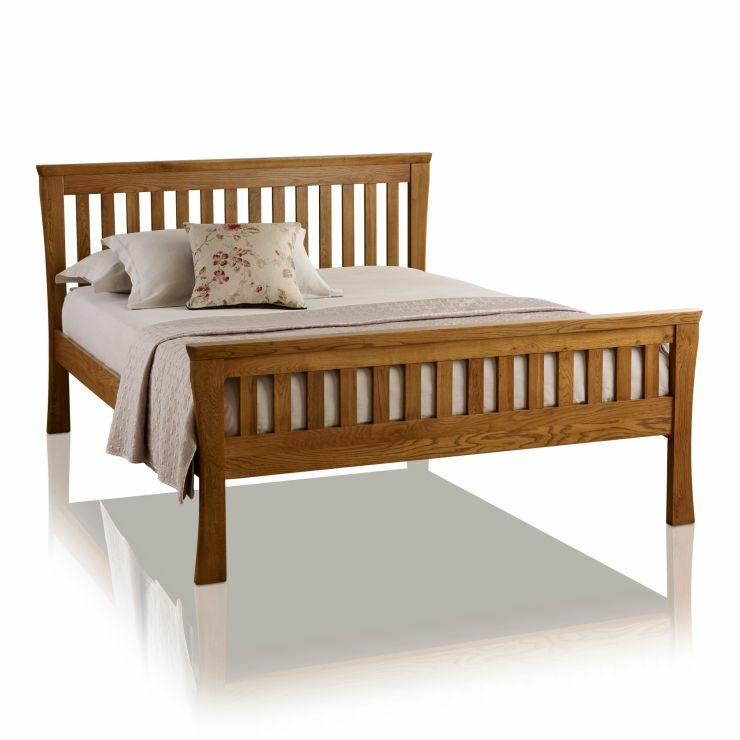 Crafted from A-grade solid oak throughout it showcases a traditional slatted design with rustic styling. To create a subtly-aged appearance, the legs are softly chamfered by hand and the corners are rounded off. We never skimp on materials at Oak Furniture Land - even the slats are crafted from one hundred percent solid oak. Don't forget to check out our huge collection of premium king-size mattresses, too. 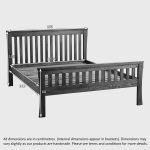 Made from top quality materials, they offer the perfect combination of style and comfort when paired with this beautiful bed. 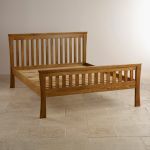 For more items of rustically styled solid oak furniture, take a look at the rest of the Orrick Rustic Solid Oak range. 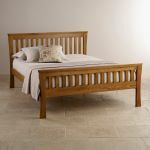 Please note: Each piece from the Orrick Rustic Solid Oak Collection is finished with a subtly-tinted wax polish, which means they will complement items from our popular French Farmhouse Solid Oak, Quercus Solid Oak and Rustic Solid Oak, Osaka Solid Oak ranges but are slightly darker than items from our natural oak ranges.